Prices of cryptocurrencies started falling drastically in India yesterday after RBI barred regulated financial institutions in the country from dealing with cryptocurrency exchanges, such as Zebpay and Unocoin. The order is valid for all banks and non-banking financial institutions in India, effectively banning Bitcoin and other cryptocurrencies in the country, thereby impacting nearly 5 million Indians who cumulatively, have cryptocurrency investments worth nearly $2 billion. 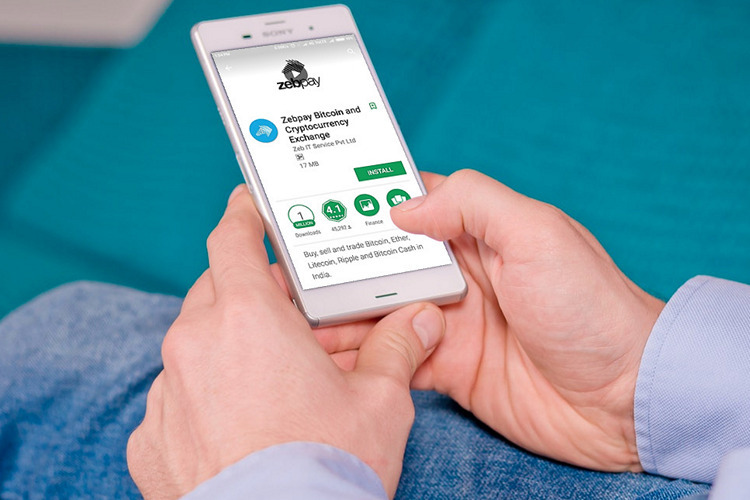 Now, it is the turn of Zebpay, one of the leading cryptocurrency exchanges in the country, to start issuing its own advisories to its customers, warning them about the risks of investing in digital assets in the country following the RBI diktat. 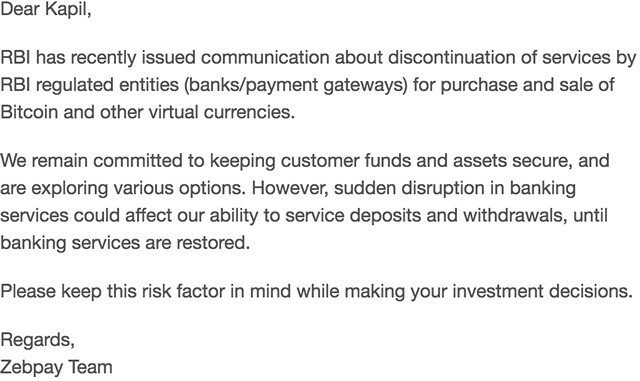 According to a communique issued to its customers today, Zebpay says that its ability to service deposits and withdrawals will be severely affected unless the order is reversed. While the buying of Bitcoins through banks, mobile wallets, and other financial institutions in the country is pretty much impossible once the order is fully implemented, the RBI has set a three month window for all regulated financial institutions in the country to wrap-up their dealings with cryptocurrency exchanges and online crypto-wallets, thereby presenting a small sliver of hope for users to recover their investments. On its part, Zebpay says it is “committed to keeping funds and assets secure and exploring various options“, presumably, till such time as everybody figures out how to circumvent the regulations going forward. Of course, people with foreign bank accounts shouldn’t have a problem transferring funds, but most Indians who don’t have that luxury, are likely to bear the brunt of this diktat unless the cryptocurrency industry can figure out a way to deal with it.